GNS earthquake scientist Russ Van Dissen investigating inside the Kekerengu Fault rupture. 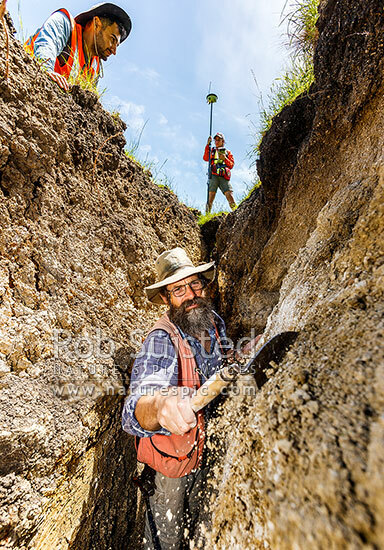 Mixed soils tell him the fault has ruptured before. Tirohanga Stream. Kaikoura M7.8 earthquake, Tirohanga, Kekerengu, Kaikoura District, Canterbury Region, New Zealand (NZ), stock photo.